I remember summer road trips as a kid before there were gadgets. No Gameboy, even. Hey, I was born a decade too early for that. I’m not in my 30s anymore. Did you ever play that game called Operator or Telephone to occupy your time? One person whispers something to someone else, and the message gets whispered around the car until it comes back to the first person. I see this in all kinds of associations, especially in chambers where the average tenure of an executive is 30 months, just slightly longer than the average tenure of an average new member. Another new exec loses previous staff and… you get the idea. Imagine how messed up the message gets after a few cycles like this over the next 20 years. These are problems that we can solve together. 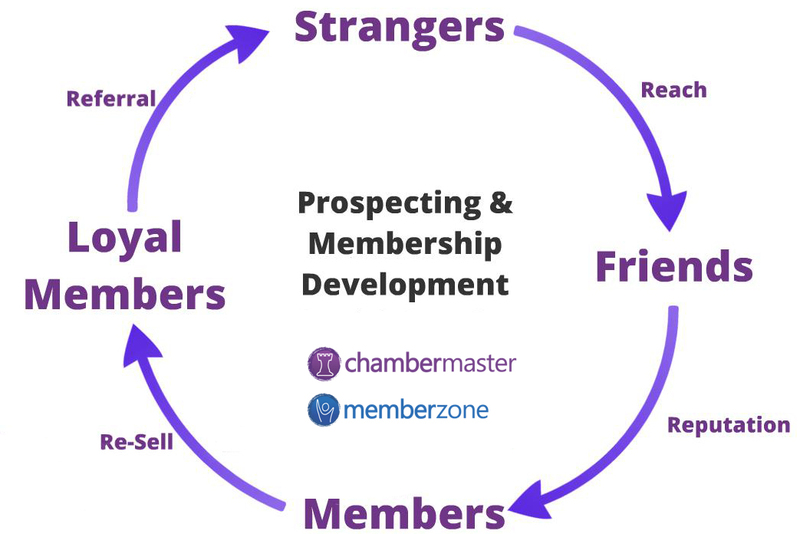 The sooner you understand that you’re running four different membership organizations, the more likely you are to adapt to the value proposition demanded by tomorrow’s members. To do this most effectively, let’s stop playing the Operator game and get to the good stuff from the webinar on July 17, where we went in-depth on the relationship life cycle and what it means for your organization. I didn’t have this training when I started in membership sales, but I intuitively knew some things about marketing. Since then, I’ve reverse-engineered how I was able to sell more than a thousand memberships in my career and build a membership development program that today enjoys 92% retention. p.s. I love my job and am so thankful to be doing this work. I just registered for your webinar on (July) 17th and am very much looking forward to that. Will I be seeing you in Cincinnati in August? Really enjoyed your sessions during the [state] conference this week. Already tried out the approach you recommended for letting existing members self-select upwards on their tier level and it worked flawlessly. The member was paying $2500 per year and I went through it all including the “Oh by the way, where do you see [company] fitting in with us?” and then shut up and waited. After a few seconds the gent says “I really like the value of the Cornerstone level ($10,000). Beautiful stuff. Thanks so much. Your sessions were among the best that I have attended in years of economic development & chamber conferences. Very insightful, highly useful information all rolled together with a touch of humor. Good stuff. Thanks again. This isn’t just a $7,500 win because this is a 20-year member. Over the next 4 years, this is a $30,000 boost. // Kyle Sexton is an award-winning marketing strategist and international speaker on the topics of membership development, marketing and innovation. His social media accelerator has been featured in the Wall Street Journal, and his book, ReMembership – New Thinking for Tomorrow’s Membership Organization, is fueling transformations in organizations throughout North America. His most recent book, Follow You Anywhere – 22 Little Lessons for Team Leaders, became an Amazon best-seller on the third day of its release.